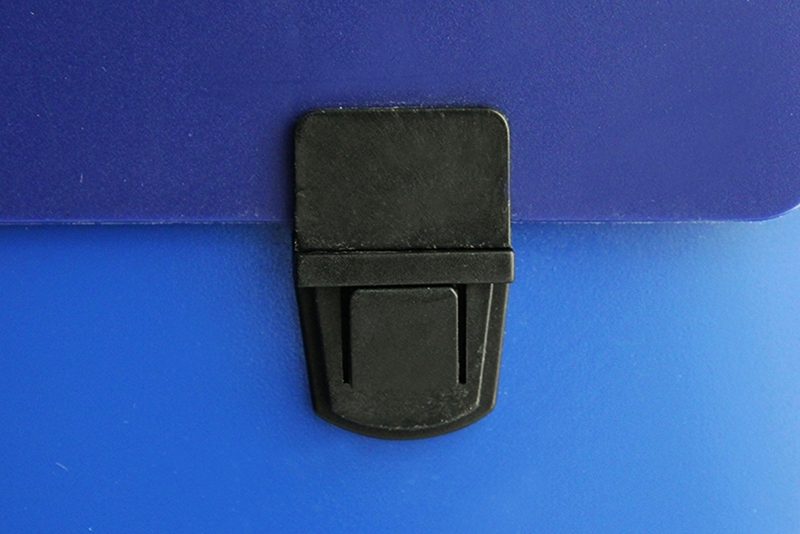 Heat-Sealed Pocket with a Serrated Seal. We have hundreds of pocket sealing dies available in a variety of shapes and sizes or we can custom make one to fit your specific project. 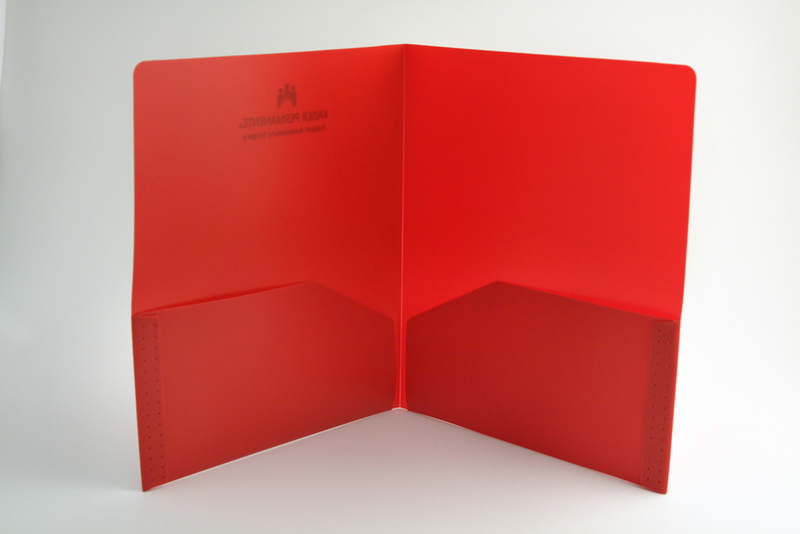 Sonic welded pockets are often used in one- or two-pocket portfolios, but can be used in a variety of projects. 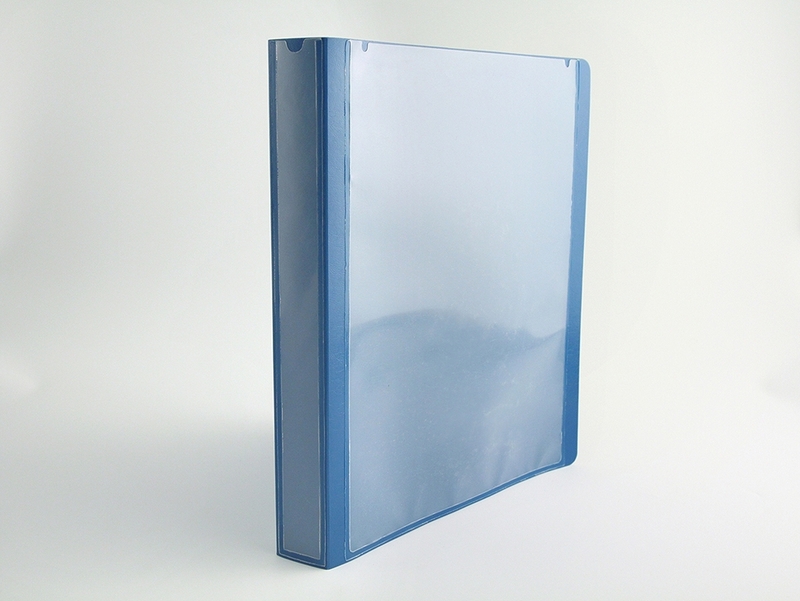 Some common types of heat-sealed pockets are: half-horizontal pockets, business card pockets, CD/DVD holders, and label holders. 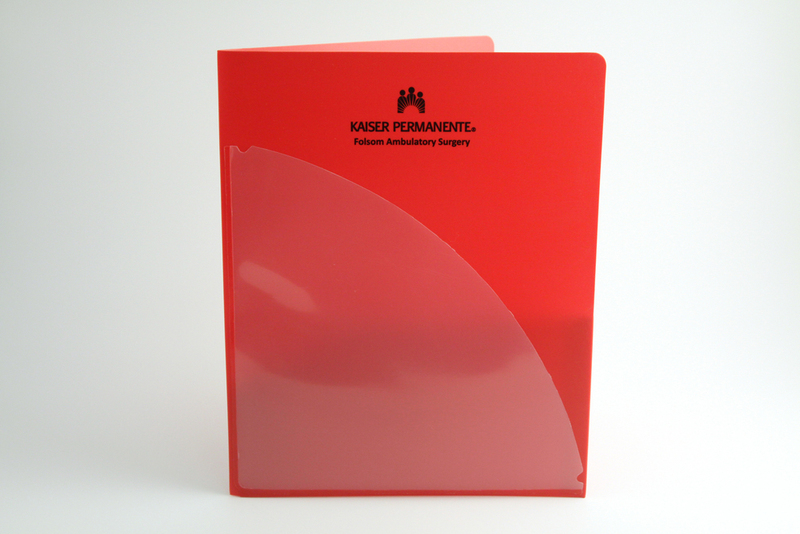 They are very durable and provide cohesive look for your project because they are made from the same piece of poly as the rest of the part. 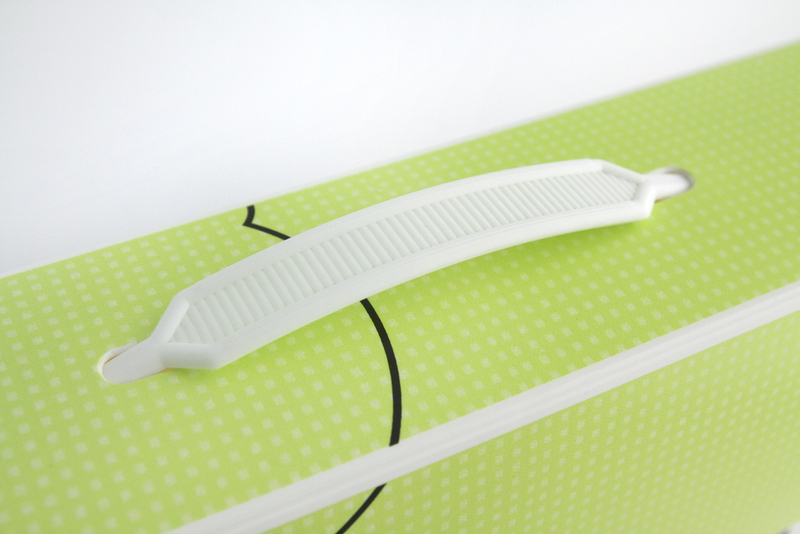 Molded Handles - available in black or white. 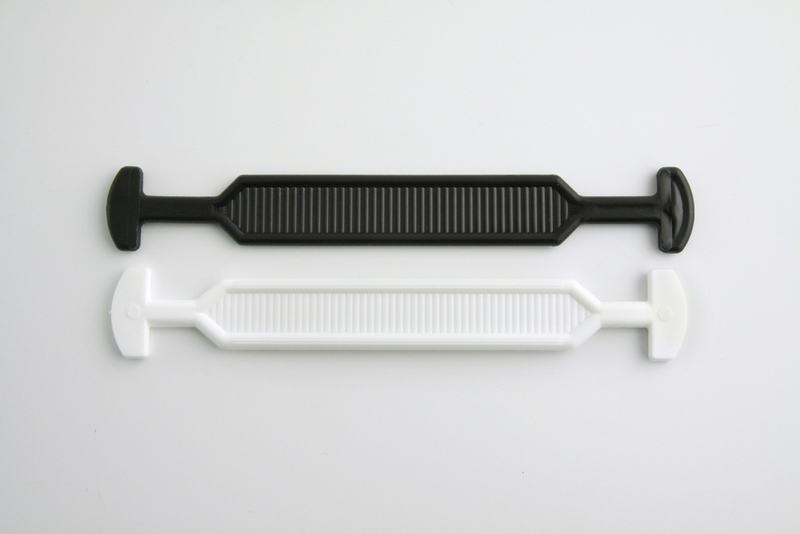 Pop-Thru Handles - available in black or white. Available in heavy duty or light weight. Die cut handles are usually cut from the same sheet as the box. 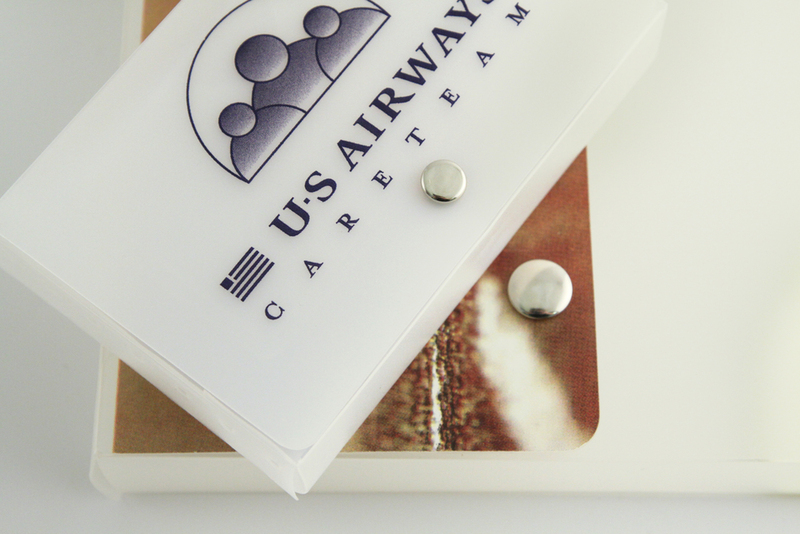 Most customizable and can be printed to match the box. Many custom strap option available. Velcoins - stocked in black and white in 1/2" and 3/4" diameter. Velcro Strips - stocked in 1" wide white or black. Can be cut to custom lengths. Various tuck lock closures available. 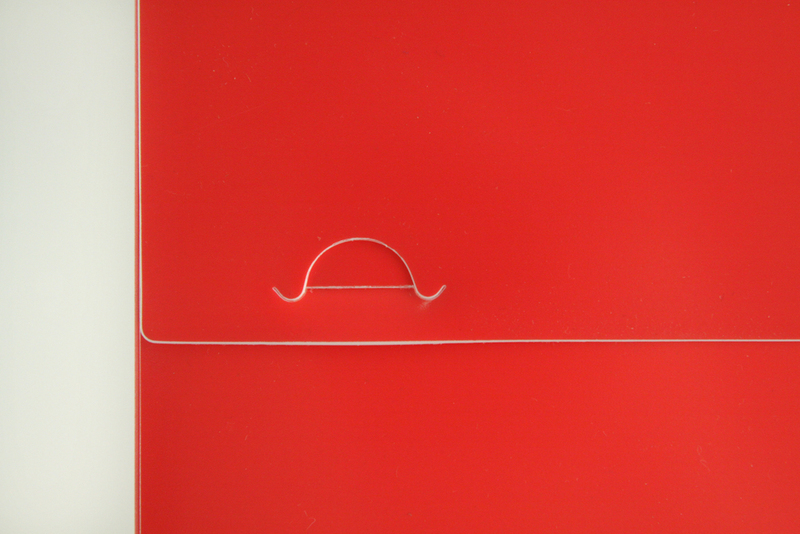 Elastic Cords - available on a custom basis. 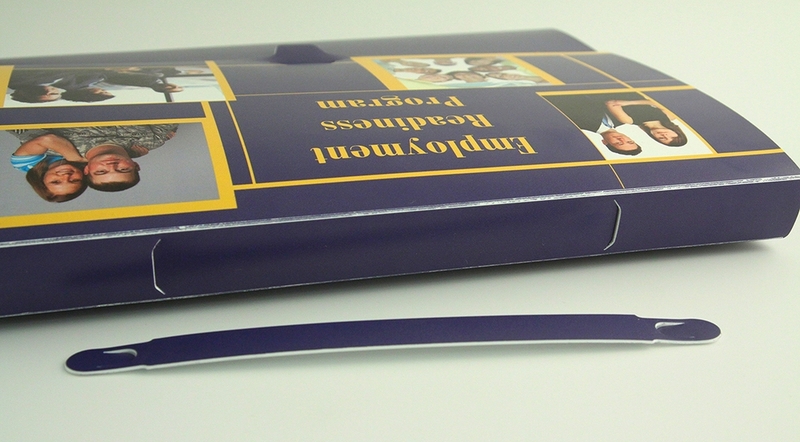 Magnets - available in various sizes and shapes, self-adhesive. Snaps - Available in metal or plastic; black, white or nickel; different sizes available.